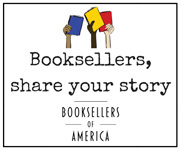 The American Booksellers Association presents an annual two-plus days conference which focuses on children's books and children’s bookselling. Programming includes keynote addresses, featured talks, multiple education sessions, roundtable discussions, and a very popular Author Reception. The fifth annual ABC Children's Institute was held April 5 - 7th, 2017 in Portland, OR at the Red Lion Hotel - Jantzen Beach, where over 330 booksellers and publishers were in attendance. Jason Reynolds, "Karibu Means Welcome"
Author Jason Reynolds tells the story of being a reluctant reader as a child, to being a bookseller at Karibu Bookstore, and how all of it helped shape him as a writer. This panel discussion is among booksellers who successfully curate their stores with a focus on the importance of backlist. They discuss how to choose and display books, which titles sell well, and which children’s categories to invest in to maintain a robust backlist collection. The panelists are Karin Schott, Devaney, Doak & Garrett Booksellers (Farmington, ME), Molly Olivo, Barstons Child's Play (Washington, DC), Erin Barker, Hooray for Books! (Alexandria, VA), and the moderator is Meghan Goel, BookPeople (Austin, TX). Marley Dias discusses her journey from New Jersey tween to viral activist sensation—and now to author. Marley’s effort to diversify the characters on her bookshelf by collecting #1000BlackGirlBooks was celebrated by thousands of readers, and by booksellers across the country who supported her campaign in their stores and on social media.